This video was uploaded back in 2011, at the start of the previous administration in power. The video revealed how Two Clans in the Philippines controlled most of the population back in the day when tycoons did not dominate the Philippine economy yet. The shocking revelations of this video will make you question how backward the Philippine society is in the past because of them. 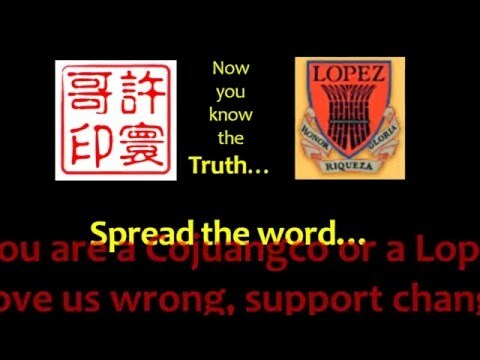 The whole video is a montage of different facts about the Cojuangco and Lopez Family. Information about how they control the media is also stated here, along with their stakes on power generation and mining companies were also stated. The video is a part of the series that supposedly revealed how they have so much influence in our economy and politics. This video did not reach more viral acclaim compared to other videos produced by PinoyMonkeyPride. According to some sources, a wealthy politician paid the owner of the channel to make the videos. What do you think about this info dump?